Immune checkpoint inhibitors (ICIs), including antibodies targeting cytotoxic T-lymphocyte associated protein 4 (CTLA4) and programmed cell death 1 or its ligand (PD1/PDL1), elicit different immune-related adverse events (irAEs), but their global safety is incompletely characterized. The aim of this study was to characterize the spectrum, frequency, and clinical features of ICI-related adverse events (AEs) reported to the FDA Adverse Event Reporting System (FAERS). AEs from FAERS (up to June 2018) recording ICIs (ipilimumab, nivolumab, pembrolizumab, atezolizumab, avelumab, durvalumab) as suspect were extracted. Comprehensive disproportionality analyses were performed through the reporting odds ratio (ROR) with 95% confidence interval (95% CI), using other oncological drugs as comparison. An overview of systematic reviews (OoSRs) was also undertaken to identify irAEs with consistent positive associations. ICIs were recorded in 47,266 reports, submitted mainly by consumers receiving monotherapy with anti-PD1/PDL1 drugs. Three areas of toxicity emerged from both disproportionality analysis and the OoSRs (32 studies): endocrine (N = 2863; ROR = 6.91; 95% CI 6.60–7.23), hepatobiliary (2632; 1.33; 1.28–1.39), and respiratory disorders (7240; 1.04; 1.01–1.06). Different reporting patterns emerged for anti-CTLA4 drugs (e.g., hypophysitis, adrenal insufficiency, hypopituitarism, and prescribed overdose) and anti-PD1/PDL1 agents (e.g., pneumonitis, cholangitis, vanishing bile duct syndrome, tumor pseudoprogression, and inappropriate schedule of drug administration). No increased reporting emerged when comparing combination with monotherapy regimens, but multiple hepatobiliary/endocrine/respiratory irAEs were recorded. This parallel approach through contemporary post-marketing analysis and OoSRs confirmed that ICIs are associated with a multitude of irAEs, with different reporting patterns between anti-CTLA4 and anti-PD1/PDL1 medications. Close clinical monitoring is warranted to early diagnose and timely manage irAEs, especially respiratory, endocrine, and hepatic toxicities, which warrant further characterization; patient- and drug-related risk factors should be assessed through analytical pharmaco-epidemiological studies and prospective multicenter registries. Ippazio Cosimo Antonazzo and Nicolò Bendinelli contributed equally. No sources of funding were used to assist in the preparation of this study. Authors at the University of Bologna (ER, EP, FDP) are supported by Institutional Research Funds (Ricerca Fondamentale Orientata). Emanuel Raschi, Alessandra Mazzarella, Ippazio Cosimo Antonazzo, Nicolò Bendinelli, Emanuele Forcesi, Marco Tuccori, Ugo Moretti, Elisabetta Poluzzi, and Fabrizio De Ponti declare that they have no conflicts of interest that might be relevant to the contents of this manuscript. Centanni M, Moes DJAR, Troconiz IF, Ciccolini J, van Hasselt JGC. Clinical Pharmacokinetics and Pharmacodynamics of Immune Checkpoint Inhibitors. Clin Pharmacokinet. 2019. https://doi.org/10.1007/s40262-019-00748-2. 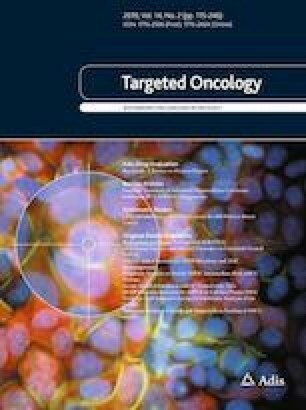 Baraibar I, Melero I, Ponz-Sarvise M, Castanon E. Safety and Tolerability of Immune Checkpoint Inhibitors (PD-1 and PD-L1) in Cancer. Drug Saf. 2019. https://doi.org/10.1007/s40264-018-0774-8. Ji HH, Tang XW, Dong Z, Song L, Jia YT. Adverse event profiles of anti-CTLA-4 and anti-PD-1 monoclonal antibodies alone or in combination: analysis of spontaneous reports submitted to FAERS. Clin Drug Investig. 2019. https://doi.org/10.1007/s40261-018-0735-0.